Look how long boring the tunnels for CR1 is taking, it wont be much quicker. Much slower - a TBM can't chew through tunnel linings as easily as virgin clay. 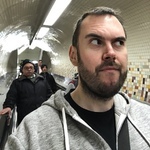 As has been pointed out many times on the W&C board, it would be quicker and cheaper just to build a new tunnel - which has the additional bonuses that you don't have to close the original line while you do it, and you end up with two lines instead of one! No amount of weaving about will solve the problem if the gap between existing services is not big enough - not to mention the effect on services of the resulting roller coaster! Yes, and this also allows a fast/semi-fast service along that line with two tunnels and a back-up for emergencies and delays. Unfortunately, whilst cheaper may still be an option, cheap is not. TBM's cost a fortune to build and run, compared to the original Tube tunnels, with labour-intensive pick & shovels behind the Greathead shields, but still cheap labour nonetheless. That cost factor is the crux, and one reason why this consultation, like everything else, will um and arr along, whatever any or all of us believe should be the case. Modern life is complicated, I suppose! 1) The tightness of the curves required beyond Elephant & Castle would prohibit any form of reliable service. 2) The ground south of Elephant & Castle is/was too tough for a modern tunnel boring machine. If what I'm saying is right, what has changed since to make TfL think this is now a viable scheme, or is this just Boris beginning early electioneering for 2016? Highly unlikely, Boris is bored with City Hall and is aiming for No. 10 but he's desperate to leave a "legacy" comparable to Ken's London Overground. As a native-born SE5 man, I can tell you the clue to why it wasn't built is in the name. Yes, it was the high water-table that scotched the 1950 proposal around 1955. There had been earlier ones in 1926, 1931 and 1939, and the initial idea from the Mayor of Camberwell was in 1912. The ground isn't that hard. That old chestnut keeps turning up, but the 100 yards or so of test bore they made sometime in the 1930's from E & C found no evidence of that, but quite a bit of H2O, part of which is due to one of London's lost rivers or a branch thereof around Camberwell-either the Neckinger or the Effra, I believe. Had a look at another of Mike Horne's excellent Capital transport Series on the Jubilee. The 1939 proposal was in fact 1938 & was formally cancelled simply due to lack on money in 1952, one new siding having been put in at Stanmore depot on 1.2.52, just before the formal cancellation. And, whilst we are in that book, just take a gander at this diagram of the 1938 proposal. Now where have you & I seen this before?? Have not only left the explanatory text with the diagram, but a little of the book's text, so you can enjoy the wonderful typo-if only we could be discussing those figures, eh?? Plans are being developed that would see the Bakerloo Line station and ticket hall move and integrate with the planned new Northern line ticket hall. Journeys between Lambeth North station and the proposed 'station 1' on the Old Kent Road could also be quicker based on these current plans due to a shorter tunnel alignment via the new Elephant & Castle Bakerloo Line station. Existing platforms and ticket hall abandoned? Hopefully they will keep them for reversing / short runs! That will depend how they are connected into the rest of the station, especially the new Bakerloo line platforms - if it's a trek then reversing (or at least detraining) at Lambeth North is probably going to be regarded as better. I was thinking more about Charing Cross (Jubilee) style of solution. It wouldn't have helped that much - there is no way the BR / NR tracks beyond the junctions at Bermondsey don't have the capacity (or spare land to be able to be widened) to accommodate LUL trains. Just as with Overground extensions beyond New Cross there is a tendency for folk on here to assume that there is always room for TfL services on NR tracks. As such tunnelling would still be needed from the South Bermondsey area to Lewisham - and doing that takes you away from the A2 corridor (which is where the demand is) and makes it harder to serve north Peckham. If anything, being at ground level (as opposed to on long viaducts like the current approaches to London Bridge) the Bricklayers arms branch would have been more useful as a jumping off point for a new Crossrail style tunnel - which could have turned north via London Bridge to give us a Thameslink not hampered by the reuse of twisty Victorian infrastructure. However at the time the branch was being sold off for low density housing / retail parks / industrial estates rail travel was seen by the Government as in 'managed decline' with no need to protect alignments for future use. Might it be that, rather than the platforms realigned, the overrun tunnels are re-realigned back to their original direction? 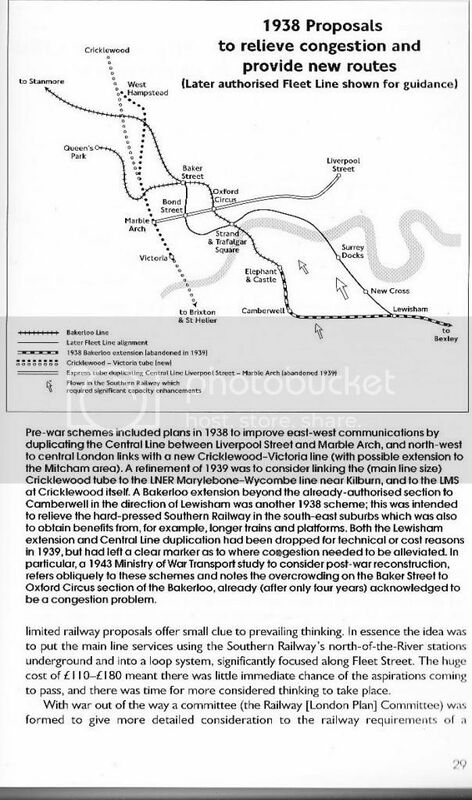 I have a feeling the initial proposal for this scheme simply continued from the existing overrun tunnels, which point in a different direction having been reconstructed for the past assumed direction of Camberwell. Pointing them back under the Old Kent Road would allow a large and long curve to be avoided. EDIT: Reading on from the London Reconnections comments, this is likely not the case now.